This is an extended version of a short piece I wrote for the Winter 2012 issue of Mountain Life: Coast Mountains Magazine. 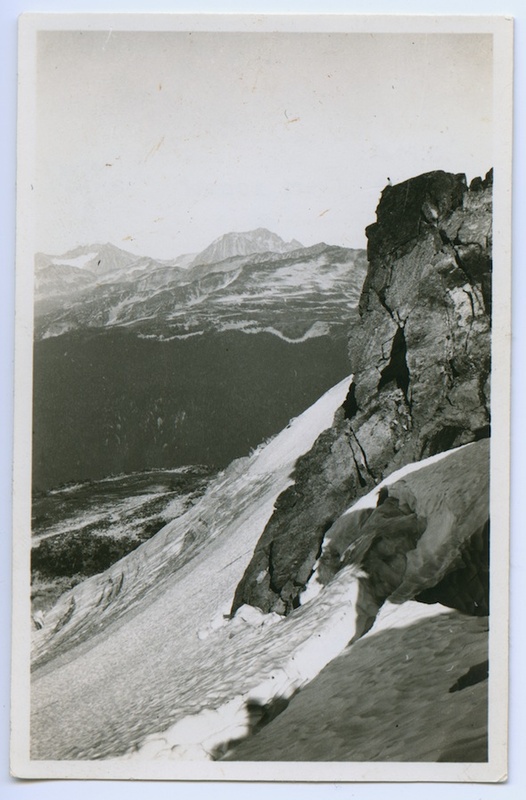 While legendary mountaineers Don & Phyllis Munday get well-deserved credit for exploring and publicizing Waddington’s exceptional alpine terrain, they were not the first to visit the central Coast Mountains’ great peaks and icefields. For decades prior to that fateful day in 1926 when Don and Phyllis first set their gaze upon “Mystery Mountain” dozens, if not hundreds of trappers and prospectors had been visiting the region hunting for resource riches. Because the mountains were the backdrop, rather than the object of their expeditions, however, and since these lonely bushmen were often as protective of their backcountry stashes as skiers are today, their extensive knowledge of the Coast Mountain landscape rarely left their lips, let alone made it into print. Stanley Smith presents a remarkable and still little-known exception to this rule. In July 1893, accompanied by a Mr. Doolittle and two anonymous Squamish guides, Smith set off up the Squamish Valley in search of two freelance surveyors who had mysteriously disappeared the previous summer. All they found was a grey tweed cap and a burnt-out campsite near the head of the Elaho River. Undeterred and with little more than leather moccasins to protect their feet and a shotgun to ward off starvation, Smith and Doolittle continued northwards (at this point separated from the Squamish men). Surviving on half rations, they took three days to carve out a canoe and descend the lake. Here the undoubtedly haggard duo were relieved to meet some Chilcotin men from whom they purchased provisions and fresh clothing to replace their now-tattered rags. Continuing on their way until they reached the empty cabin of Mr. Franklin, an acquaintance of Smith’s. From here they felled and carved out a second canoe, descended the treacherous Klinaklini River, and emerged at Knight Inlet where they hitched a ride on a coastal steamer back to a hero’s welcome at Vancouver, arriving on October 26th more than three months after having set out. No further traces of the lost surveyors were ever found. Coverage in Victoria newspapers described Smith as “the well-known British Columbia explorer,” who already “had a great deal of experience in the unexplored parts of the province,” but provide sparse details about any forgotten feats he may have performed. No stranger to danger, a local Homalco chief found Smith’s corpse stuck in a log jam on the lower Homathko River in November 1895. Reports state that a partially legible diary was found in his pocket recording some of his mining claims and travel routes, but this little black book of Coast Range radness seems to be long gone. Smith’s obituary portrays a rather unique character. “A college-bred man, possessed of considerable means [with] rich parents living in the East,” Smith rejected his privilege and chose instead to live alone in a humble cabin on the outskirts of Vancouver, then barely a small town. Apparently Smith put his formal education to use by providing pro bono legal services for those of lesser means, turning his cabin into a “tramp’s court” like a nineteenth century Judge Brown of the Jungle. 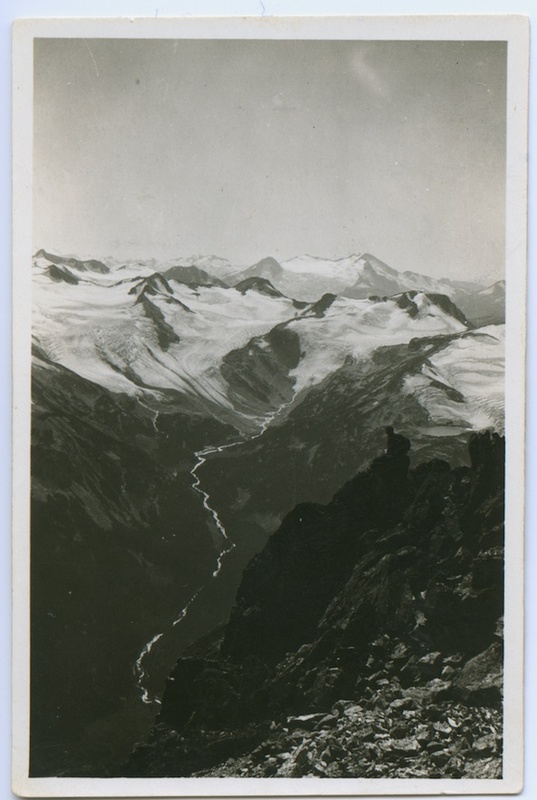 The article concludes “all who knew Stanley Smith here revered, respected and admired him as a man, while in his public character as an explorer, the province loses the valued assistance of one whom it will be almost impossible to replace.” Today the only monument to these epic adventures is the Stanley Smith Glacier near the remote heart of the Lillooet Icefield. Soooo, long time no see? To say I’ve neglected this site of late is a bit of an understatement, although I’ve been as active and engaged in outdoor play and culture as ever in the time since my last posts. I’m currently working on some plans to revive it and start adding regular content again. In the meantime, I’ll be sharing some of the written content I’ve had published on-line and in print over the last few years. First up, a feature story I had published in Whistler’s weekly newsmagazine The Pique, about a work party I participated in with the local ACC-Whistler as they upgrade the facilities at their Wendy Thompson Hut. Original story can be found online here. Nor do they maintain themselves, and beyond normal wear and tear from recreational users, the harsh mountain environment takes its toll on human structures as well. This summer and fall local ACC-Whistler members and other volunteers took on a major work project at the Wendy Thompson Hut, originally built by the club in 2000. Earlier this month I tagged along on one of their work parties to see exactly what was going on at the hut. The day began with an early meeting for the group of volunteers at the Pemberton heliport, after which the first five workers were flown directly to the hut to prepare the site. Chief among these tasks was clearing pathways and digging out work sites in the already metre-deep (and now much deeper) snowpack. The rest of us drove to the staging point just off the Duffey Lake road and began preparing loads of firewood and building materials that would be shuttled to the hut by the helicopter. In total, seven loads were transported up to the hut. This all happened remarkably fast, thanks in large part to the heli pilot’s considerable skill and expertise. While this was going on, a third group of volunteers began the three-hour snowshoe trek from the staging area to the hut. Once the last load of materials arrived at the hut (and two loads of garbage, construction waste, and unneeded equipment was flown out), the last group of volunteers, myself included, was given a quick, scenic ride to the hut in the chopper. We unloaded with our gear and the heli set off. Work continued in a bustling but orderly manner, as there was an ambitious work plan for the afternoon. Some members had already begun framing a new room inside the hut, there was no shortage of firewood that needed to be moved and stacked, and I joined a group that began work on a new woodshed to keep the firewood dry and protected from the very deep coastal snowpack. After a few frenzied hours, light began to fade, flurries started to fall, and small groups began to snowshoe back down the trail to our parked vehicles. But not before an impressive amount of work was accomplished, especially considering the deep snow and sub-zero temperatures. It was a wonderful experience to tag along with such an enthusiastic and dedicated group of backcountry folk. Watching the crew at work underscored how much time and effort goes into maintaining our recreational infrastructure. If you find recreating in the backcountry rewarding, perhaps you should consider joining a local club and contributing your time as well (one need not be a member to join many of these work days). The sum of the work completed this summer adds up to an impressive list of upgrades. The hut has been given a three-and-a-half metre (12-ft.) extension at the front of the building, complete with a new mudroom, a larger kitchen and an improved bunk area. A solar-powered lighting system was installed, and the old kerosene heater has been replaced with a wood-burning stove. A new wood shed was also built and stocked with three and a half chords of firewood, which should last the full winter if visitors use it wisely. Despite the increased space, capacity remains 16, making for a much more comfortable and functional space. The new and improved Wendy Thompson Hut is now ready to go for the upcoming winter season. It is available only through reservation, which must be pre-arranged through the ACC-Whistler website. The hut fees go directly towards future maintenance and upgrades to the cabin, including building materials and the helicopter flights necessary to get them up into Marriot Basin. Local companies also help out donating time and materials. While it is certainly an idyllic bit of mountain paradise, it must be noted that this hut is in a remote and wild setting, and all visitors should be self-sufficient, prepared for self-rescue, and equipped with all the necessary gear and knowledge to contend with hazards inherent to mountain and wilderness environments such as avalanches, extreme weather, and more. The Wendy Thompson Hut was named in honour of a long-time Whistler resident, ski patroller and paramedic who was tragically killed when a medical mercy flight she was working on crashed en route to Haida Gwaii in January 1995. She was an avid backcountry enthusiast, and the hut’s construction was funded by her family and estate to honour her memory and serve the outdoor community. The hut was originally constructed in ACC-Whistler member Tom Dudley’s backyard. It was then de-assembled and transported to its alpine setting, with the project wrapping up that autumn before the first snow began to fall. Built on the classic gothic arch design first developed by members of the British Columbia Mountaineering Club in the 1960s, this style is also exemplified by the local Wedgemount and Himmelsbach Huts among others. 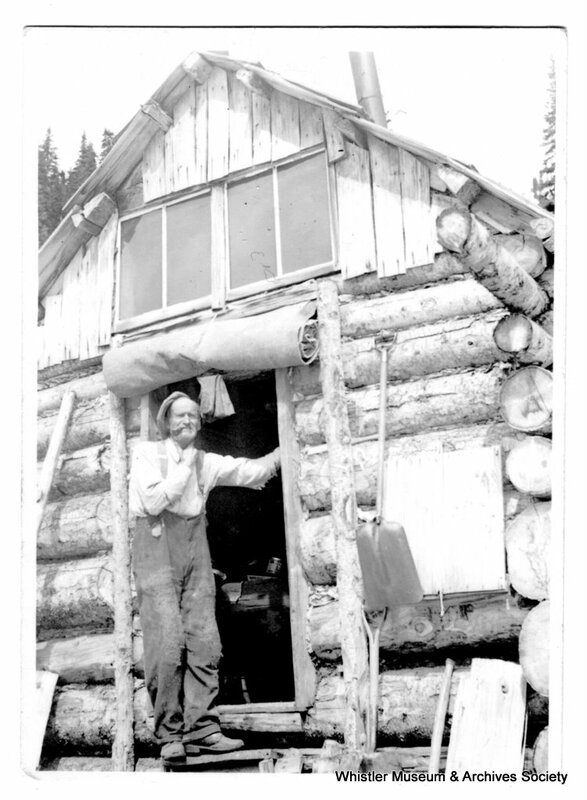 Local resident and master carpenter Werner Himmelsbach, for whom the hut at Russet Lake is named, even helped with the construction of the Wendy Thompson Hut 33 years after building his namesake shelter. This summer’s renovation and upgrades are the result of two summers worth of planning and more than 400 volunteer days of actual work on-site, with approximately 40 different individuals contributing their time. That’s a lot of gruelling, unpaid labour. Another major project they have spearheaded in recent years is the new Skywalk/Don MacLaurin Memorial hiking trail network on the east and north slopes of Rainbow Mountain. One of the great pleasures of mountaineering literature is its ability to transport the reader from their comfortable reading chair into a sublime alpine landscape. Conversely, anyone who has read a lot of mountaineering literature has dealt with the frustration of trying to follow the narrative through a complex, unfamiliar landscape. 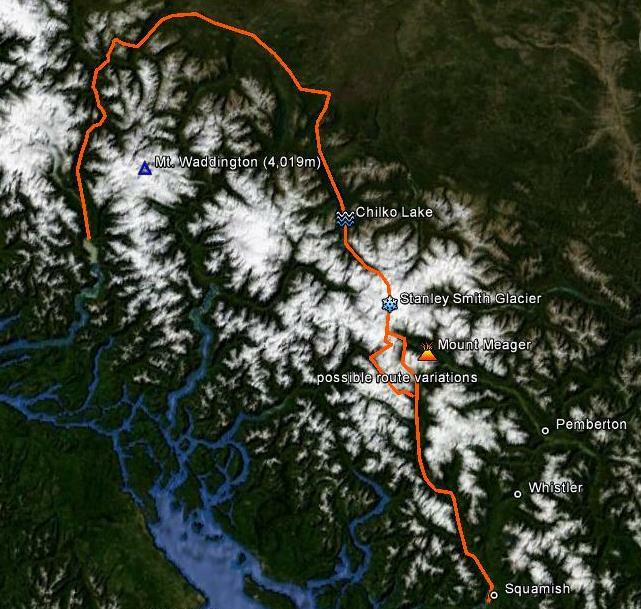 For the last several weeks I’ve been chipping away at a fun side project at work where I’ve been embedding our Neal Carter photographs into Google Earth and then re-creating a virtual tour of Carter & Townsend’s complete 1923 exploratory mountaineering expedition into the mountains immediately on the east side of the Whistler Valley. 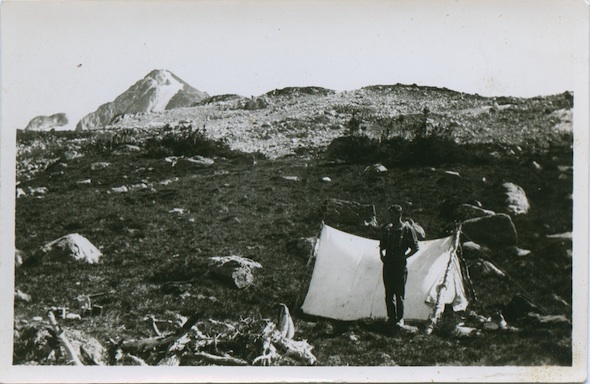 The narration is drawn from Charles Townsend’s first-hand account of the trip, published in the British Columbia Mountaineering Club’s club journal, the B.C. Mountaineer. The BC climbing community at the time still had very close cultural ties to their largely British roots, and Townsend’s account is written very much in the characteristic “stiff upper lip” tradition. In the few instances where Townsend admits to danger or difficulty, you can be assured that things had turned nasty. I’m struggling to come up with a clear, concise description of the finished product; “virtual mountaineering”? Digital historical re-enactment? Regardless, my aim was to re-package a mountaineering narrative in a manner that combines the amazing geo-spatial context of Google Earth, the aesthetic and documentary qualities of historical photographs, and the authenticity of a first-hand written account. The first clip covers their first objective, the first ascent of Wedge Mountain, the highest peak in Garibaldi Park. Note that they did not use the current approach, but began instead from the Wedge Creek drainage, slightly to the south of Wedgemount Creek. Their only glimpse of Wedgemount Lake would have been from Wedge’s summit of ridge. I have down-climbed their climbing route up the south-west face and can attest that the “two-foot cubed” rocks make for extremely awkward travel; too large for “scree-surfing,” too small for the stability of larger boulders, but still large enough to do some serious damage. The second clip follows the pair as they venture deeper into the Coast Mountain wilderness, completing the first ascent of the lower but equally formidable Mount James Turner. The third and final clip covers the second half of their trip, for which they hiked up the predecessor of today’s Singing Pass trail and based out of the old prospector’s cabin near the Oboe-Cowboy Ridge col. (I’m assuming BC Parks disassembled the cabin, probably in the forties or fifties. Does anyone know more about this?). This clip contains perhaps the most interesting scenery since they actually climb a pre-development Whistler Mountain, as well as the most challenging climbing during the first ascent of Mount Diavolo (named in honour of their “hellish” climbing experience). Embed the photographs in Google Earth using the “Add photo” function. Familiarity with the landscape and patience with fidgety Google Earth controls comes in handy for getting things to line up just right. Transcribe and record the audio. Mix it all together using video editing software like Adobe Premiere. Substantial editing of the raw KRUT video file was necessary to eliminate the worst of Google Earth’s finickiness. There’s plenty of potential for similar Google Earth-based historical narratives. Right now I’m looking forward to experimenting with on-screen annotation, integrate contemporary photography, and additional graphics. Such tours could potentially have a lot of different pedagogical applications as well. A spectre is haunting North America’s grizzlies–the spectre of knuckleheads (as well as reckless industrialization, urban sprawl, highways, railroads, inert bureaucracies, and public apathy). Fortunately for grizzlies and their supporters, journalist and long-time wilderness advocate Jeff Gailus has written The Grizzly Manifesto (Rocky Mountain Books, $16.95 hardcover) to expose the crimes against grizzlies committed by this unholy alliance. The Grizzly Manifesto is a welcome addition to Rocky Mountain Books’ timely “Manifesto Series” of concise, provocative hardcover essays about pressing environmental concerns. Where other authors might have adopted an orderly, systematic structure when confronted by the series’ confined format (maximum 25,000 words), Gailus has instead crafted a meandering essay that traces the authors’ own education in grizzly conservation interspersed with frequent insights about grizzly biology, politics, and popular culture. A single chapter can wander from the grizzly’s diet (voracious and varied, but mostly plants), to their reproductive processes (slow, with some curious surprises), through their post-glacial migrations (often millennia ahead of humans), to their supreme roles in the spiritual lives of indigenous peoples across North America and Eurasia. This last bit even leads into a sustained consideration of the theory that the grizzly’s annual hibernation might have inspired the ancient human mythology of resurrection. Such a literary scenic route contributes far more in terms of readability than it sacrifices in coherence. The effect is an enthralling narrative that navigates the intricacies of grizzly-conservation politics as purposefully as a well-worn game trail through a dark, overgrown forest, with hidden wonders sign-posted along the way. The book confronts Canadians and their long-cherished wilderness values with the provocative challenge: like it or not, the fate of these archetypal wild beasts presents an unavoidable test-case as to whether or not we actually give a damn about preserving this nation’s natural heritage. Right now it doesn’t look good. For many readers, Grizzly Manifesto will destroy the same illusions about Canada’s pre-eminence in all things environmental that Gailus has been forced to abandon through his decades-long efforts to improve Canadian conservation policies. While corrupt politicians, greedy industrialists, “knucklehead” recreationalists, and popular indifference all feel Gailus’ scorn, nobody comes away from The Grizzly Manifesto more abused than Parks Canada. For any literary advocacy to be as moving as Gailus’ it must be aimed steadfastly at manifest injustice, but it must also be sustained by at least a modicum of genuine hope. In this regard Gailus’ efforts are nourished by the small, imperiled, but undeniable victory south of the border at Yellowstone National Park. Here, thanks to adaptive (and downright courageous) leadership and beefier environmental laws than our own, the region’s once-doomed grizzly population has tripled in recent decades. Canadians should take note. In such a condensed form there are bound to be omissions, some glaring. While the imperiled fate of Alberta’s 700-odd grizzlies receives full treatment, only a few sentences go to the 25,000 that live in B.C. and the Territories. The word Alaska does not enter the text. Gailus does well to stick to his area of expertise, and the general terms of Banff’s grizzly battle may be largely universal, but a brief survey of other fronts would have made this book more immediately relevant to a larger audience. Still, Gailus should be commended for crafting an argument on behalf of the great bear that is at once measured and passionate. 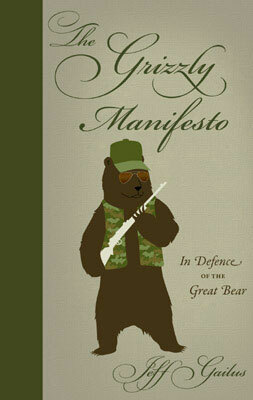 The Grizzly Manifesto is an attractively packaged book that makes excellent work of the Manifestos‘ refreshing, punchy format. Anyone concerned about the continuing (accelerating!) loss of North America’s wild spaces and species will feel informed, disheartened, enraged, inspired, and, before Gailus is through, even a little empowered. My new job at the Whistler Museum has given me the opportunity to work on a bunch of interesting projects. For one, I’ve been contributing weekly content to the new site Whistler Is Awesome (part of a network of “_____ Is Awesome” sites). 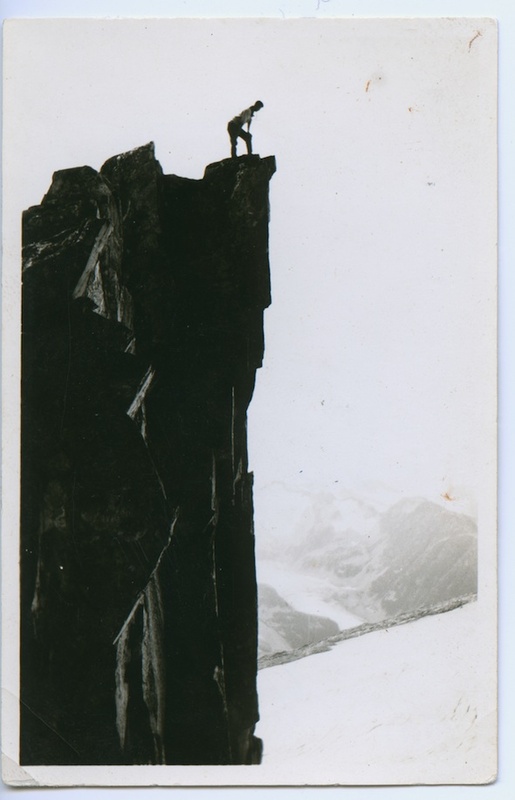 This week’s post is the second half of a profile I wrote about pioneer local ski-mountaineer Pip Brock; a longer version with more photo content can be found on the Whistler Museum’s own blog, Whistorical. Writing for WIAwesome led to the opportunity to produce a slideshow to be screened during the intermission of the Deep Summer Photo Challenge, one of the marquee events of Whistler’s annual Crankwork mountain bike festival. Deep Summer was, as always, an amazing show and I was really excited to have my work shown during the event (click here to see the top 3 shows from Deep Summer). The Whistler Museum doesn’t have many mountain biking photographs in our archives (something we intend on rectifying in the future), so I decided to put a show together featuring a selection of the great summer mountaineering photos we have. This seemingly simple task was more work than I expected, but I’m not going to complain about a few days of sitting at my desk listening to a great song and looking at beautiful old mountaineering photos. This is a re-post that I originally wrote for the Whistler Museum blog. Our local mining industry is actually 10,000 years old. Squamish archaeologist Rudy Reimer has found obsidian quarries in Garibaldi Park that were in use shortly after the retreat of continental ice sheets permitted the initial peopling of the region. Used for razor-sharp blades and fine jewellery, this volcanic glass can still be found among Garibaldi Park’s ancient lava flows. Because each obsidian quarry has a distinct mineral composition, scientists are able to “fingerprint” fragments found at archaeological sites and trace them back to their source. Garibaldi obsidian, a valuable trade item, has been found throughout southern B.C. and Washington state. The first non-indigenous visitors to Whistler–William Downie, a Scottish veteran of the California gold rush (a “49er”), and Joseph Mackay, a former Hudson’s Bay Company employee (a fur trader, not a retail clerk)–were commissioned by the colonial government to explore the territory between Lillooet Lake (Pemberton) and Howe Sound (Squamish) in September 1858, hoping to find a better coastal access route to the booming gold mines of the B.C. interior. Dwindling rations forced Downie and Mackay to press on to to the coast before exploring the surrounding mountains. Scouring our archival holdings is a little like exploratory mining. 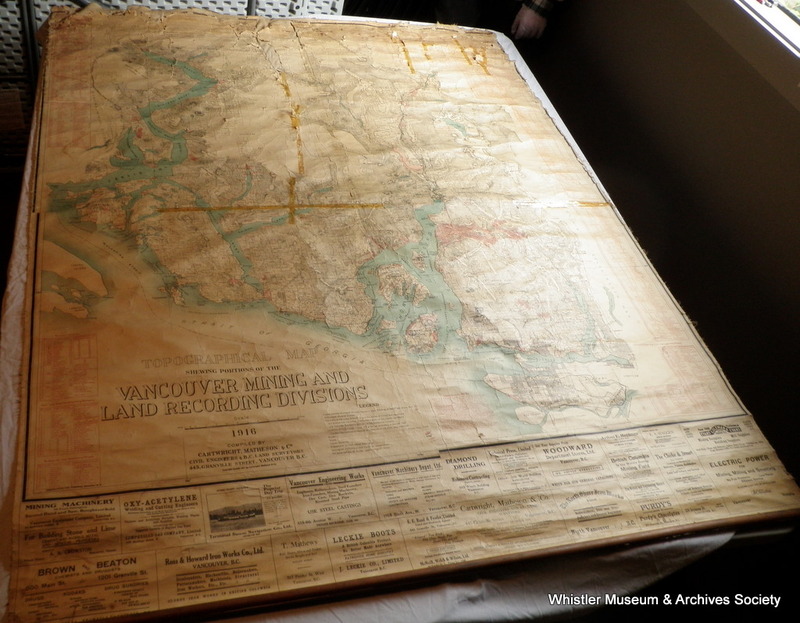 Our archivists recently uncovered a gem, this massive 1916 map of recorded mining claims in southwestern BC. Following on their heels, tens of thousands of goldseekers rushed into B.C. during the 1860s. While the majority of them travelled along the Douglas Route up Lillooet Lake then northwards beyond Pemberton, many other prospectors came up from Howe Sound and rooted around the surrounding creeks and mountains en route. Since mining men are notoriously secretive, however, very few records survive of prospecting activity prior to the twentieth century. Among Whistler’s earliest known commercial mining operations was the Green Lake Mining and Milling Company, beginning operations at least as early as 1910. Run by Mr. A McEvoy of Vancouver, the Green Lake Co. worked 10 small claims at the 1000 – 1300 metre level on Whistler Mountain above Fitzsimmons creek. The workers lived on the mountain’s lower slopes in cramped, drafty housing with a regrettable male-to-female ratio. Sound familiar? They found gold, silver, and copper, but never in commercially viable quantities. Harry Horstman, a lanky prospector from Kansas, was to have greater staying power but similarly meagre returns. Despite his prairie roots, Horstman was at ease up high, living for decades in a log cabin near the 1600-metre level on Mount Sproatt. Digging several tunnels, Horstman found enough copper to eke out a modest living (supplemented by trapping), but he never struck a major load. 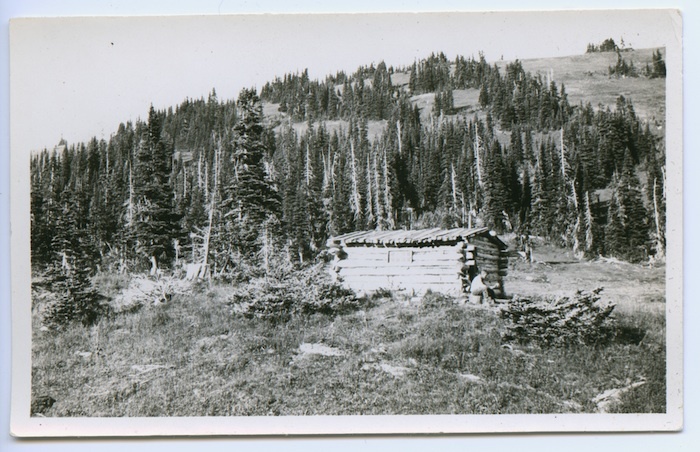 Harry Horstman at his Mount Sproatt cabin. The Horstman Glacier on Blackcomb is named after this pioneering local. Horstman was a fixture in the Alta Lake community for decades, but still appreciated the seclusion of his mountain-top retreat. I wonder what he would think of the neon circus that goes on every summer on his namesake glacier! Beginning in 1916, a group of twenty-odd men began operations as Alta Lake Mining near today’s Alpine Meadows neighbourhood. They excavated bog-iron ore, which occurs when iron dissolved in run-off water forms deposits in bogs or swamps. At their height of operations they sent 150 tons of bog iron a day down the PGE railway to Squamish, where it was then shipped to the Irondale smelter at Port Townsend, Washington. Other locals also pursued small-scale prospecting and mining. Fitzsimmons Creek, which runs between Whistler and Blackcomb Mountains, is named after Jimmy Fitzsimmons, who prospected throughout his namesake valley. Mining shafts that resulted from his exploration can still be found along the Singing Pass trail. In the 1930s, locals Billie Bailiff (who also kept a trapline in the Singing Pass/Cheakamus Lake area) and Bill “Mac” MacDermott also dug mine shafts on the north side of Whistler Mountain, hoping to find the north end of the Britannia Mine’s massive copper vein. They didn’t succeed, but interest in Whistler Mountain’s underground remained. Most of us know that the first ski lifts on Whistler Mountain started from Creekside. Fewer realize that the original plans included lifts and runs on Whistler’s north side, rising from near the present-day village. These plans had to be abandoned, however, because the provincial government chose to protect mineral claims on that side of the mountain now held by two companies, including the Canadian giant Noranda. Unsurprisingly, mining claims didn’t interfere when plans to develop the north side of Whistler Mountain resurfaced in the late-1970s, as the provincial government was now a key investor in the planned resort expansion. While never developing on a comparable scale to the Coast Mountain mega-mines at Brittania Beach or the Pioneer Mine, the quest for underground riches still played a formative role in Whistler’s early days. If one knows where to look, traces of this past mining activity can still be found throughout the local landscape. Local whitewater folk are familiar with the abandoned Ashlu gold mine because it is the drop-in point for a popular kayaking run. Kayaker at the entrance to the abandoned Ashlu gold mine. Though interesting to history buffs, this hidden legacy also poses significant physical and environmental hazards. For more on this context, track down the Summer 2011 issue of Kootenay Mountain Culture Magazine for a short article on this titled “Rider Dun Gone.” (The article isn’t available on-line, but the magazine is free and can be found here.) For more info on industry and government efforts to track down and regulate Canada’s thousands of abandoned mines, check out the National Orphaned Abandoned Mines Initiative. Want to learn more? Book an appointment to come mine our archives which contain old reports from the provincial Ministry of Mines, among other records. If you’re really keen you can even take your new knowledge into the woods and find some old mining ruins that haven’t yet been completely overtaken by the relentless coastal rainforest. But be careful! And remember, although relatively young these are archaeological sites; try to leave them undisturbed for others to enjoy.